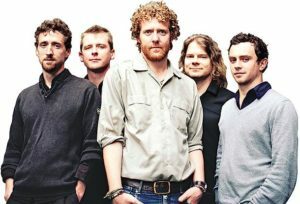 The Frames are an Irish rock band from Dublin and are a part of the remnants of the Dublin rock scene of the early 90’s. They’ve done 6 albums and have been very influential on the European music scene and are another band that never got their due. Founded by Glan Hansard in 1990, the band got its name from his hobby of fixing bicycles. His house was littered with the frames of bicycles and his neighbors referred to it as “the house with the frames”. 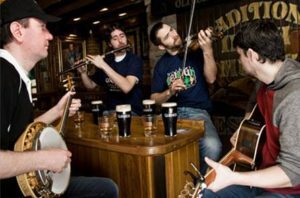 The band has had many members over the years including people from Thin Lizzy and Kila, two other great Irish Bands. 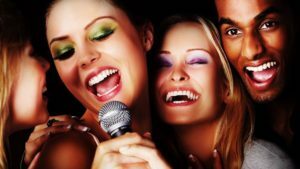 The band is also known for interspersing snippets of songs by other artists into their own as a form of homage; notable examples are “Redemption Song” by Bob Marley, “Ring of Fire” by Johnny Cash, “Lilac Wine” by James Shelton (as made popular by Jeff Buckley / Elkie Brooks) and “Pure Imagination” from Willy Wonka & the Chocolate Factory’. In 1991, Hansard came to public attention after taking the part of “Outspan” Foster in the film The Commitments. However, Hansard regretted this role as he felt it distracted from his music career. Mac Con Iomaire also had a cameo in the movie as a violinist auditioning for the band. Bronagh Gallagher, one of Hansard’s colleagues, can be seen wearing a Frames T-shirt in her appearance in the film Pulp Fiction. Hansard appeared on screen as the principal character parodied by Irish music comedy Web site Eyebrowy.com and in 2007 as the lead in the movie Once which featured his songs. See what we mean about influential?